Can You Really Play Video Games in School? My first and only video game system. 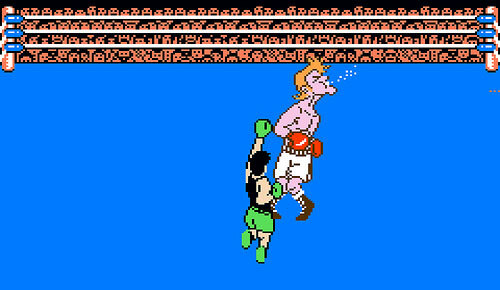 I’ll be totally honest; I think the last video game I bought was Mike Tyson’s Punch-Out!! sometime in the late 80s. This was long before I could drive but after I had started working some odd jobs, earning a little money. My father brought me to a hobby shop where I plunked down some tens and walked out with a legendary game. On the ride home, I fought with my brother over who could play the game first. I can actually remember a lot about that game. I can remember jamming the cartridge into my Nintendo Entertainment System and starting to beat the likes of Bald Bull on my way to taking on Iron Mike. I can still remember the theme song. Unfortunately, I wasn’t that great at the game. I never defeated the champ. Glass Joe didn’t stand a chance against me, but the higher I got in the game the more frequently I lost. Piston Honda and King Hippo could knock me out without breaking a sweat. I think my troubles in the game sent a subliminal message to my brain that I had better things to be doing. My NES is the only video game system I have ever owned. Duck Hunt and Zelda were rainy day life savers but I just never got hooked on video games. An old “Punch-Out! !” nemesis, Glass Joe. Today, however, you can read a ton about how video games are changing the face of education. What many call game-based learning is quickly becoming a trending topic. Video games in general–or what we more specifically call computer games–seem to dominate the conversation. But, should we be bringing computer games into our classrooms? I can remember my mother yelling from the top of the stairs as I was sequestered in the dark, cold basement to “turn off that game.” Now, it seems like all the cool teachers are letting their students play computer games. Is this a good idea? If so, what games should our students play? To their credit, computer games are much more sophisticated than when I was growing up. They are collaborative and exploratory in nature. 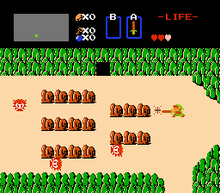 Instead of green blobs depicting vegetation (see Zelda to the right), you can now actually see what kind of tree it is you are about to chop down. You can name your own characters and even model them after yourself. I’m sure computer games are even more impressive than I have given them credit for here. I just wouldn’t know because I don’t play them. Over the past year, my Twitter feed seemed to explode with tweets about how teachers are using video and computer games in their classrooms. One game in particular seems to dominate the discussion: Minecraft. On Te@chThought, Terry Heick called Minecraft “a perfect analogue for what’s possible in learning.” So, my mission this summer and on this blog is to figure Minecraft out. I feel like it’s impossible to check Twitter without seeing a tweet about Minecraft. I need to see what’s up with this game. I haven’t played a computer game in a really long time and I’m kind of nervous. Will I be able to figure the game out? Am I too old? How should Minecraft be used in the classroom? Should it be used? Why have over 23 million people viewed this Minecraft trailer? Seriously, how on earth do you play this game??? More posts to come as I try and figure this whole thing out.